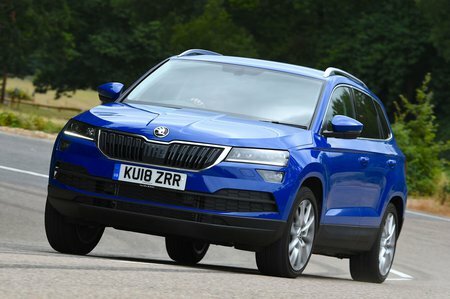 Skoda Karoq Sportline Review and Deals 2019 | What Car? Like Scout and Edition, Sportline is only available with the most powerful engines and four-wheel drive is mandatory, which makes it pricey. On top of SE L’s kit list, you get 19in wheels, sports front and rear bumpers, sports seats, metallic paint, an electric tailgate and a panoramic roof. It’s too expensive to recommend unless you’re hopelessly in love with the looks.